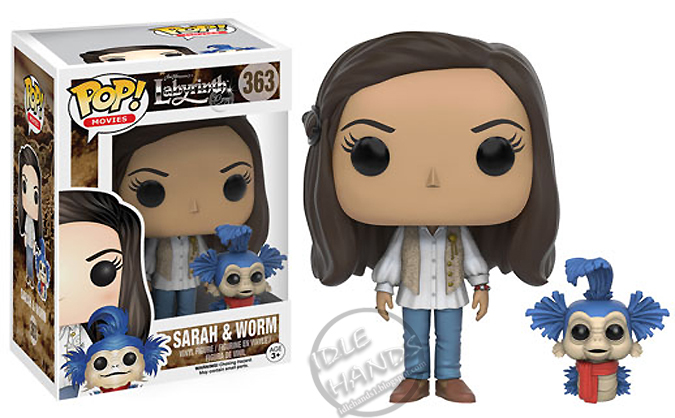 Idle Hands: Funko Labyrinth Pop Figures Have Come! We don't cover Funko a whole lot these days after they yelled at us for posting news about them and didn't take it down as quickly as they wanted because we wanted to replace it with NEWS and not leave an empty hole behind....BUT... that doesn't mean we hate their guts. OH NO. 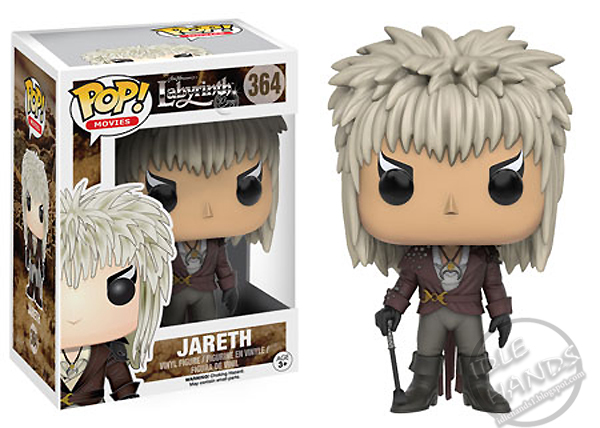 We like their guts just fine...especially when they announce Labyrinth Pop! figures! Oh man. Lucky thing these pieces are usually cheap. I may need them all...and that's a first for me. This September we FINALLY get Jareth, the Goblin King, Sarah and the "don't go that way!" 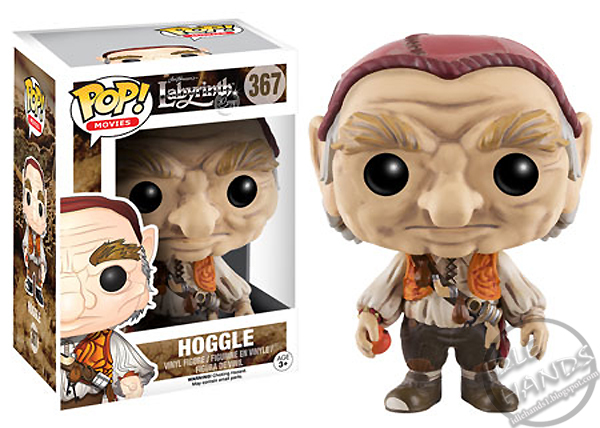 worm, Ludo and Hoggle. 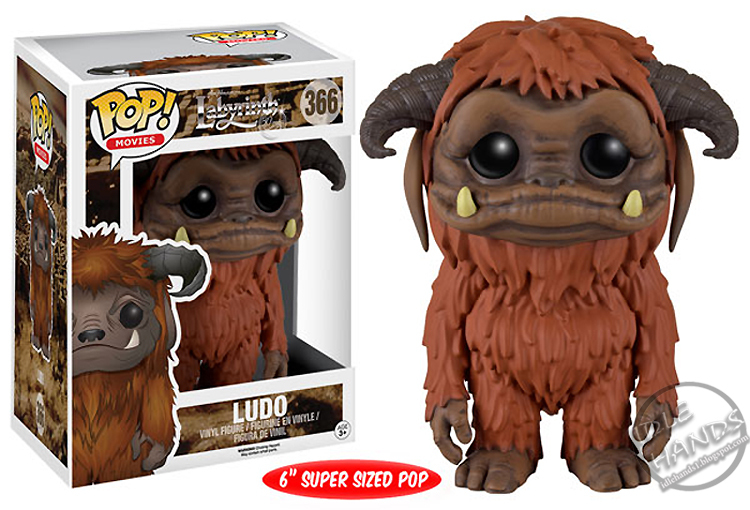 Ludo is actually a 6 inch super sized pop and i'm reaaaaaally hoping they do a flocked one that I will have to battle people to obtain....and maybe a sparkly version of Jareth..as David Bowie should always be sparkly.